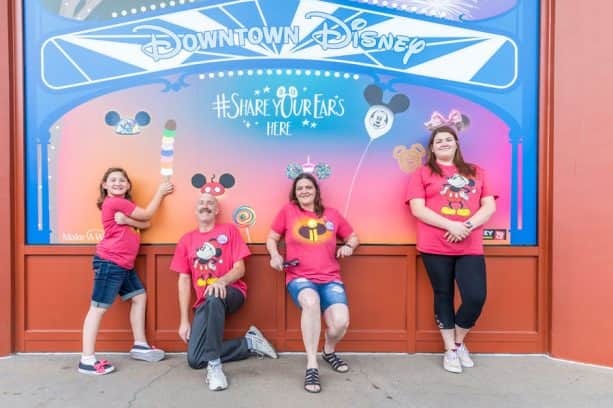 Since the kickoff of the #ShareYourEars campaign earlier this month, we’ve seen incredible “ear” photos from Disney fans supporting Make-A-Wish®! 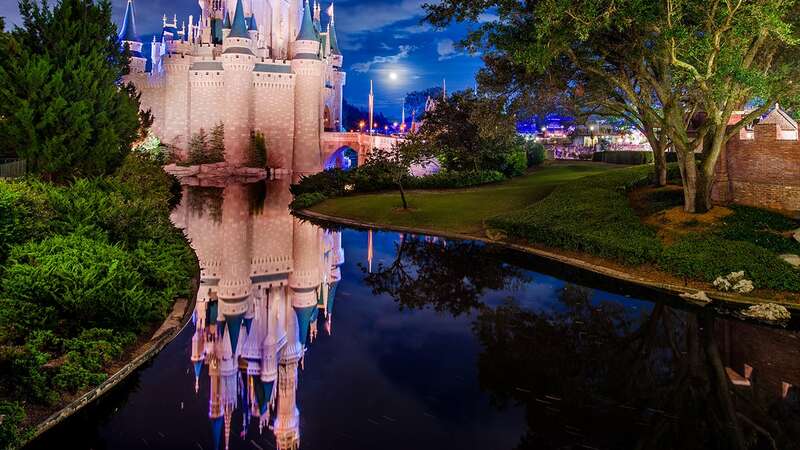 Through Giving Tuesday on November 27, 2018 Disney is donating US $5 to Make-A-Wish, up to US $1 million – with a total goal of up to US $3M – for every public post that features your “Mickey Mouse ears” – or any creative “ears” – on Facebook, Instagram or Twitter with the hashtag #ShareYourEars. 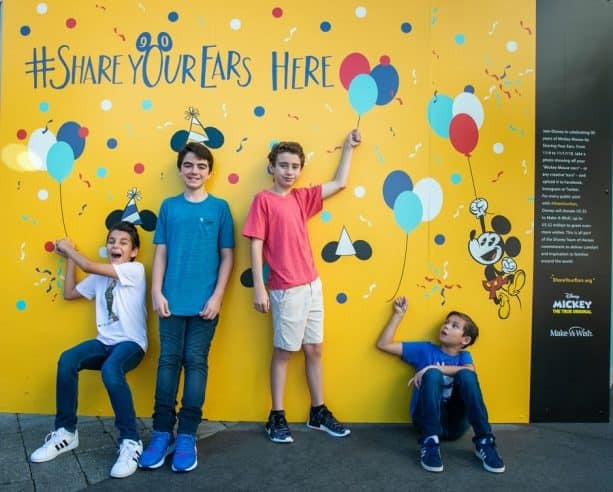 With photos showing off traditional Mickey Mouse ears, fun props and other artistic interpretations, your ears are making magic for wish kids around the world! 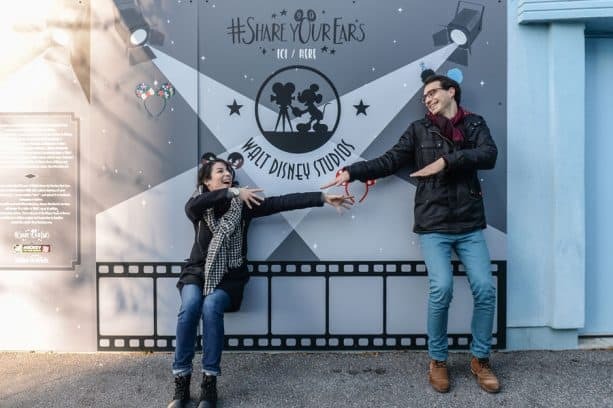 We know how much fun Disney theme park guests have with “Disney Walls” all year round and now, you can #ShareYourEars with special walls custom-made for this campaign! 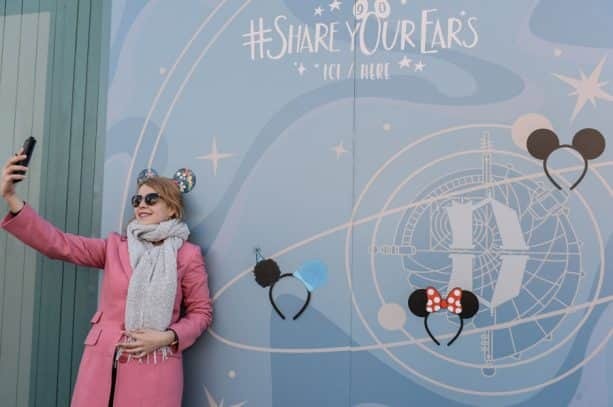 Created by Walt Disney Imagineering, these uniquely themed “ear walls” can be found at Disneyland Resort, Walt Disney World Resort and Disneyland Paris for #ShareYourEars fun! 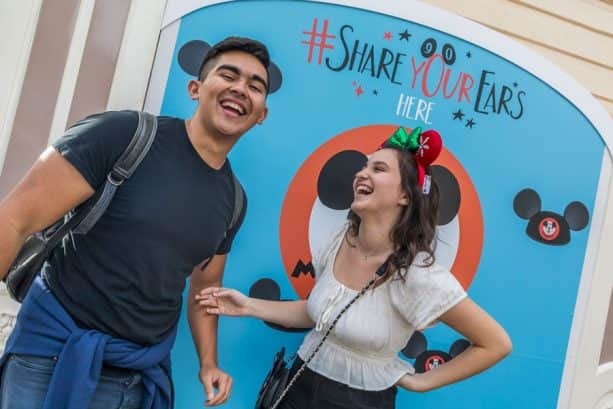 To help you in your search for the perfect #ShareYourEars photo, here’s where you can find “ear walls” throughout the campaign. 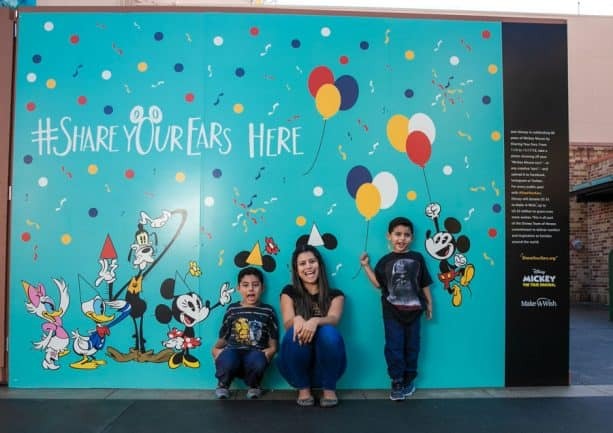 Celebrate the leader of the club that’s made for you and me at this Mickey Mouse Club-themed wall on Main Street, U.S.A. at Disneyland park, near the Mad Hatter! Featuring the iconic Grizzly Peak and Pixar Pal-A-Round, this wall can be found in Hollywood Land outside of Stage 12. As you walk toward the Disneyland Hotel be on the lookout for this colorful wall with classic Disney Parks treats on your right. As you head into Tomorrowland from the Castle Hub, be sure to stop by this “sweet” wall to your right. 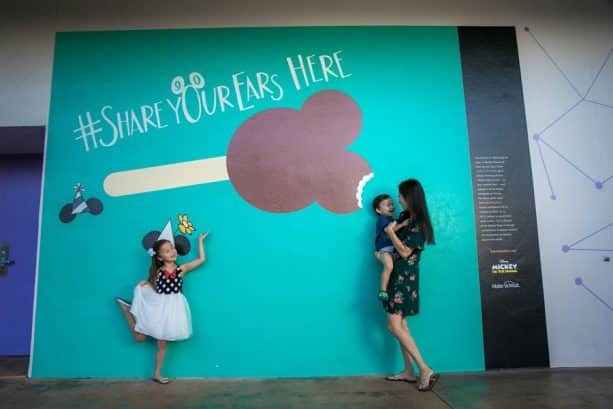 Snap a picture with ears and a giant Mickey Bar! 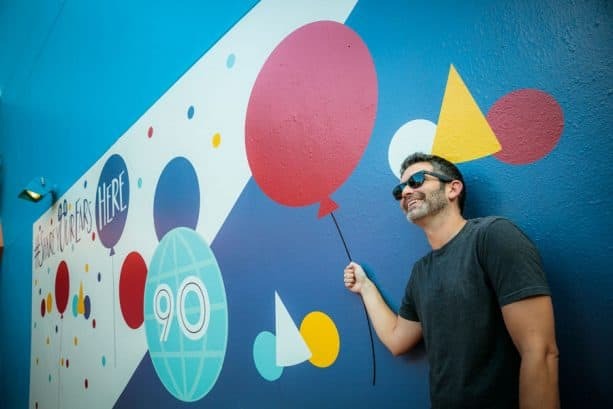 Turn right as you approach the Imagination Pavilion from Future World to find this retro wall celebrating 90 years of Mickey Mouse! #ShareYourEars alongside Mickey and his pals at this wall outside of the entrance to Toy Story Land! Show your stripes, spots and “ears” at this wall across from Tiffins Restaurant just before the bridge into Pandora – The World of Avatar. 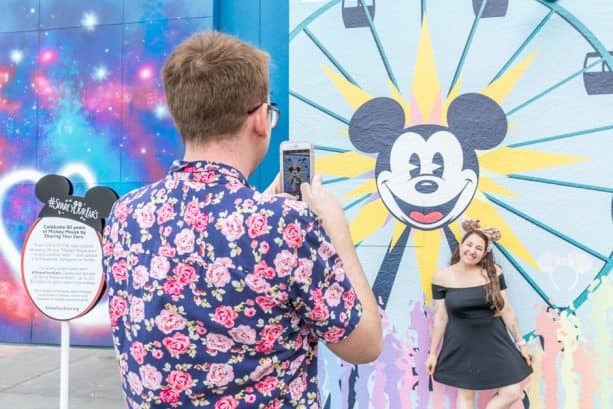 While visiting the West Side, stop by this wall to chEAR for Mickey Mouse outside of the Cirque du Soleil theater. Strike a pose with fanciful and futuristic walls near Blanche-Neige & les Sept Nains and Autopia! Find these magnifique walls outside the Art of Disney Animation building and in front of the Partners Statue. Have you found the “ear walls” yet? Be sure to post your pictures with the hashtag #ShareYourEars to help grant wishes around the world! LOVE IT!!! So many ears, so little time! Surprise! 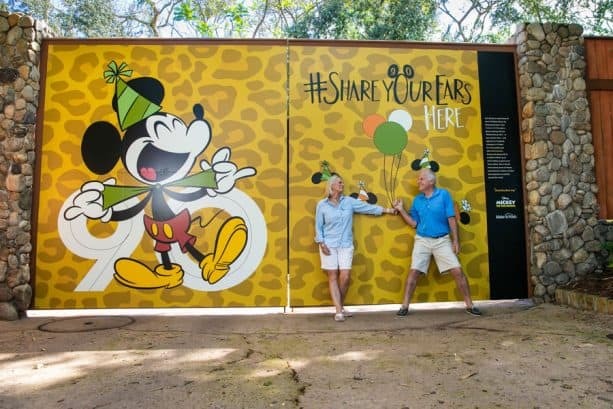 #ShareYourEars Continues Through November 27!